﻿ Unstuck: Your Guide to the Seven-Stage Journey Out of Depression | Christiane Northrup, M.D. I’ve known Dr. Jim Gordon since the early 1980’s when we both served on the Board of the American Holistic Medical Association. Jim’s work as a holistically-oriented psychiatrist has paralleled my work in women’s health. We both share a belief in the indomitable power of the healing spirit. I’m absolutely bursting with enthusiasm about Jim’s new book Unstuck: Your Guide to the Seven-Stage Journey Out of Depression. The information he shares in Unstuck will do so much to help lift depression and reduce anxiety and stress—without any harmful side effects! I’m thrilled to bring you this interview with my longtime friend and colleague. Enjoy! 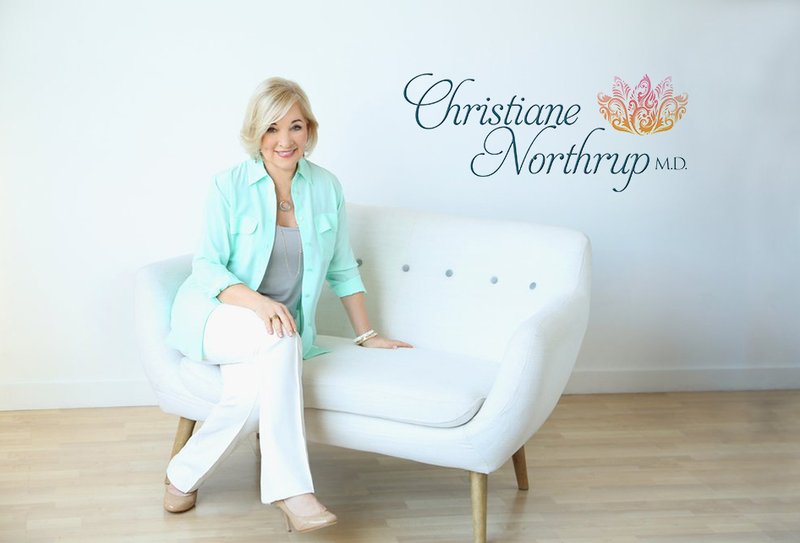 – Christiane Northrup, M.D. CN: Your book Unstuck: Your Guide to the Seven-Stage Journey Out of Depression is the best holistic approach to treating depression that I’ve ever seen. What inspired you to write the book? JG: Thank you so much, Chris. My desire to write Unstuck started about 10–12 years ago when I was seeing a lot of patients who had been treating their depression with pharmaceutical antidepressants (and maybe some therapy), but weren’t getting any better. I knew that this single-track approach wasn’t what they needed to lift their depression. At the time, I was one of only a handful of physicians in the U.S. who was using an integrative medical approach to treat depression—one that gave relief and didn’t burden patients with the harmful side effects of antidepressants. Because I was having great success with my program, I felt compelled to write the book. I wanted to help as many people as I could, and the book is written in a way that makes it possible for me to be a companion—a Guide—to those on their journey out of depression. I also wanted clinicians to be able to refer to an extensive body of scientific studies and other reference materials that support this holistic approach, which is why I created a 65+ page Resource Section. CN: What makes the Unstuck approach different? JG: The Unstuck approach provides a new perspective for thinking about and treating depression. It includes the mental, emotional, physical, and spiritual approaches and techniques such as: meditations to enhance the biology of your brain and body, advice for transforming your fears, exercises to mobilize your intuition as well as your body, an overview of how Chinese medicine can help you work through depression, and ways you can connect to something greater than yourself (God, Spirit, Tao, and so forth) while healing. You’ll also learn about foods and proper nutrition, including supplementation with vitamins and safe alternatives to antidepressants. Unlike the “one-Prozac-fits-all” approach that so many have been subjected to, the Unstuck approach can be customized to fit each person’s needs and situation. CN: People who pick up this book may be surprised when they read the first paragraph of the preface. I’ll share it and then ask you to comment. Depression is not a disease, the end point of a pathological process. It is a sign that our lives are out of balance, that we’re stuck. It’s a wake-up call and the start of a journey that can help us become whole and happy, a journey that can change and transform our lives. JG: Yes. I think the pharmaceutical companies would have us all believe that depression is a disease, because in our culture, disease equals a prescription drug. Depression is not a disease any more than having an affinity for music is a disease. It’s part of the human experience. If your husband leaves you and you become depressed, you don’t have a disease—there are no lesions on your brain. What you have is a difficult, challenging time when you may feel sad or anxious. All of us have what I call demons—ways of thinking, feeling, and being that inhibit and constrain us, difficulties we avoid, self-defeating habits. It’s very likely that these contribute to unhappiness, or even despair. But this isn’t a disease! CN: So, is there any basis for the term “chemical imbalance?” Does it indicate a disease? JG: The term “chemical imbalance” is, basically, inaccurate. It’s merely a justification to prescribe antidepressants. The pharmaceutical companies are selling drugs targeted at raising the brain chemicals (neurotransmitters), such as norepinephrine, dopamine, and serotonin, so they assert that people are depressed because of their neurotransmitter levels. However, there is no medical or scientific evidence to support the hypothesis that people who are clinically depressed have inadequate levels of neurotransmitters. Some may, many more do not. And in any case, physicians don’t test the levels before prescribing drugs. That’s not to say that drugs don’t raise neurotransmitter levels, because they do. However, studies indicate that this effect is of lesser importance than the media would have us believe. I explain it this way: When taking antidepressants, it typically takes several weeks for a person’s depressive symptoms to decrease, even though their neurotransmitters are raised almost immediately. What seems more likely is that these drugs mitigate the effects of stress. Instead of taking antidepressants, why not alleviate stress through meditation, diet, exercise, a spiritual practice, and/or being around others. These mobilize your whole being without the risk of significant, unpleasant side effects. I talk about this in great detail in Unstuck. CN: I know you’re concerned about the overuse of Selective Serotonin Reuptake Inhibitors (SSRIs), such as Prozac, to treat depression. So am I! Would you comment on this? JG: Sure. Doctors in the U.S. write approximately 200 million prescriptions for antidepressants every year. Yet, I believe that only 5 percent of those people taking these drugs actually need them. This gives you an idea of the magnitude of the problem. And many have significant, unwanted weight gain. Long-term effects, although not entirely known, indicate the potential for deterioration in the frontal lobe of the cerebral cortex. Ironically, it also seems that an extended use of Prozac, which exerts its influence on serotonin, may deplete dopamine, another neurotransmitter, and lead to neurological disorders. CN: If you are currently taking antidepressants and want to stop, what should you do? JG: Although I am quite critical of the use of antidepressants, you should never stop taking them abruptly. I can’t stress this point enough. Most antidepressants have dangerous and unpleasant withdrawal symptoms. It’s best to go off them very slowly, gradually reducing your dosage over weeks or even months—and never without the help of a qualified physician. (To find a physician in your area, see the Resources section in Unstuck.) I also recommend that you use some (or all) of the techniques I teach in Unstuck to relieve the emotional and physical pain that often accompanies withdrawal. CN: In Unstuck you give people a lot of hope that they can help themselves through this trying time. You also think it’s so important to consult a doctor. Why is that? JG: It’s important for a physician to help you take a complete medical history and rule out possible underlying physical causes of your depression. Some medical conditions can cause depression or something that feels like it. For example, if you have hypothyroidism, you may feel sluggish and be less interested in or able to lead an active, robust life. Unless you address the thyroid condition—the origin of your mood problems—you won’t be able to alleviate the depression. CN: How important is it to have a healthy gut? JG: There’s a connection emerging between bacterial overgrowth in the gut and depression. (An overgrowth can occur fairly easily if you take a lot of antibiotics.) If the gastrointestinal (GI) tract isn’t functioning properly, it’s unlikely that the body and brain will be healthy. Your body needs to be able to digest, assimilate, and eliminate properly. (By the way, constipation is a symptom of depression—and another way of being stuck.) If the GI tract is damaged, through diet or leaky gut syndrome, the body becomes more vulnerable to immune system reactions. It’s important to restore the integrity of the GI system by eating nutritious foods, taking supplements, and getting enough fiber. Probiotics can help digestive function and may even stimulate neurotransmitter production. CN: Although someone might think that depression is something in the mind that needs to be treated, movement is one of the most helpful healing modalities. Can you explain why? JG: When you’re depressed, you feel weighed down or agitated—or both. There is often a physical quality to depression. So, why not use the body to encourage a state of liveliness? Besides, there really is no separation between the mind and the body anyway. Remember, you’re trying to become unstuck. What better way to mobilize yourself than through physical movement? Walking, for example, is excellent. However, exercise of all kinds has also been shown to increase levels of the neurotransmitters serotonin and norepinephrine, the exact ones antidepressants are aimed at, as well as the feel-good hormones, endorphins. With the exception of talking to a professional, exercise is the single best approach to ameliorating mild depression. When you exercise you feel better. It’s a simple way to help yourself…and when you help yourself you overcome the feelings of hopelessness and helplessness that are the hallmarks of depression. CN: You devote a chapter in Unstuck to the importance of a spiritual connection. Why is that? JG: A spiritual connection gives you access to possibilities for healing that are beyond those you ordinarily experience. It brings peacefulness and hope. I encourage everyone to create a bridge to Spirit. It can put you in touch with a realm that gives comfort and meaning to the challenges and struggles of daily life—which is itself therapeutic. Meditation and prayer and simple breathing exercises can help create this bridge. Having a connection to Spirit isn’t about giving up your religion. It’s about finding a path that speaks to you, in or outside of your religion, one that brings a quality of the miraculous to your day-to-day existence. CN: Is there anything else you’d like to tell my readers? JG: Yes. So often, people suffering from clinical depression feel like victims. They are not! What they are is stuck. Unstuck gives them a user-friendly way to help and heal themselves, along with a practical plan for enhancing their experience with any professionals they work with. Many people have troubles, worries, or difficulties. Before you take antidepressants, try a more integrative approach to your problem. Improve your diet, do some yoga, learn some simple meditation techniques. Take the journey on which I guide you in Unstuck. This article includes excerpts from Unstuck which were excerpted with permission. James S. Gordon, M.D., is the founder and director of The Center for Mind-Body Medicine (CMBM)in Washington, D.C. A graduate of Harvard Medical School, Dr. Gordon is a clinical professor in the departments of psychiatry and family medicine at the Georgetown University School of Medicine and the former chairman of the White House Commission on Complementary and Alternative Medicine Policy. Dr. Gordon, who has been a frequent contributor to The Washington Post, The New York Times, and The Atlantic, as well as to leading professional journals, is the author of Manifesto for a New Medicine among others. Unstuck: Your Guide to the Seven-Stage Journey Out of Depression by James S. Gordon, M.D. Thank you for this article. I have reclaimed my life after healing my body’s health. I have been hyperactive, depressed, and out of touch with my peers for my entire life. I haven’t been able to date because of my body odor and extreme anxiety. At twenty-nine, I feel I have missed most of my life. Information like this needs to reach more people. Children are extremely vulnerable and unable to know this information. We need to be more ethical as a society. Pharmaceutical drugs do nothing but mask the true causes of mental illness!